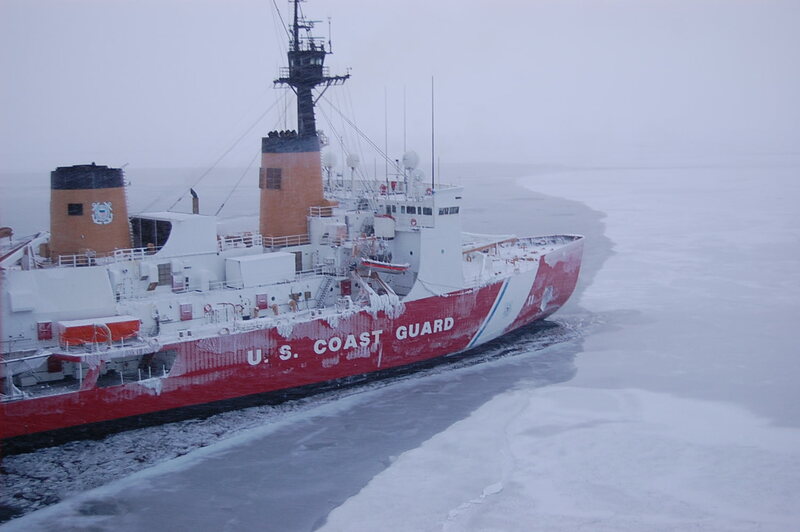 The Coast Guard has determined it would be too costly to refurbish the heavy icebreaker USCGC Polar Sea (WAGB-11) and has designated the ship a “parts donor” to sister ship USCGC Polar Star (WAGB-10), the service’s assistant commandant for engineering and logistics said this week. The service will focus on building a class of new heavy icebreakers and keeping Polar Star running until the new hulls come online. A recent detailed examination of icebreaker – commissioned in 1977 – found the ship had a sturdy hull, but upgrading ship systems to make it operational would require an effort that was not deemed cost-effective, Rear Adm. Bruce Baffer said during American Society of Naval Engineers’ Technologies, Systems and Ships event. “Polar Sea is now the parts donor for Polar Star. When we looked at Polar Sea, the hull is in good shape but everything inside the hull was obsolete. There was not a thing inside that hull… that we could replace,” Baffer said. Polar Sea has been sidelined since 2010, when an engine casualty left the ship immobilized. Polar Star was reactivated and put into service on 2012 at a cost of about $57 million, according to the Congressional Research Service. The Coast Guard also operates the 1990s-era medium icebreaker USCGC Healy (WAGB-20). Polar Star is currently in New Zealand after recently breaking out the U.S. McMurdo science station in Antarctica from 60 miles of ice – its primary mission, as part of Operation Deep Freeze – for some “well deserved R&R,” Baffer said. “We used to do this mission every year with two heavy icebreakers. Now we do it with one. That puts a severe strain on our maintenance and logistics system to keep that running,” he said. In 2015, the Obama administration announced the acceleration of the icebreaker program for a planned construction start in 2020 for a new heavy icebreaker. Naval Sea Systems Command is assisting the Coast Guard in developing the acquisition strategy for the service. “The total acquisition cost of a new polar icebreaker that begins construction in FY2020 has not been officially estimated but might be roughly $1 billion, including design costs,” read a report from the Congressional Research Service. As part of its Fiscal Year 2017 budget submission, the Coast Guard requested $150 million for the acquisition effort.